I met a lot of really interesting people at the People Centered Internet Conference at Stanford University. I made a total of 16 interviews including an interview with Vint Cerf (the father of the internet). But also with CEO of the Estonian E-health Foundation Madis Tiik and the initiator of the San Diego medical records hub Ted Chan. 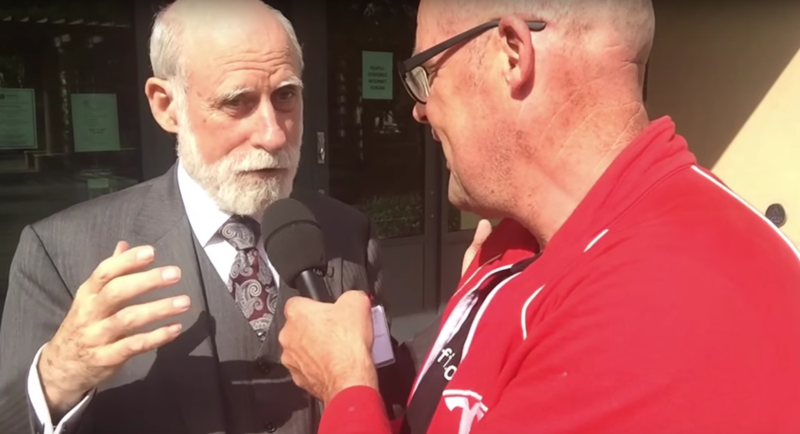 Vint Cerf, better known as the father of the internet, is co-organiser of the ‘people centered internet’ and explains why integrating the health care date through the internet is essential for innovation. He talks about the Estonian example I also talked about with Madis Tiik. Last month I visited Estonia, a country ran as a startup. It has a centralised healthcare records systems, founded in law, where all health care providers work together. For a total of $10 million it was implemented between 2004 and 2010 and it has been working now for 6 years. What are the experiences and lessons learned? What about professional rivalry? The mistrust of citizens? IT problems? CEO Madis Tiik discusses it all. San Diego has 3 million people and 100.000+ health care workers. They share a medical records hub with millions of interactions per month for only 3 million dollars a year. Ted Chan is a medical doctor who worked on it for 5 years since 2010 and it went live in 2013. What are the lessons learned? How to overcome trust en business competition? Where will it go from here?